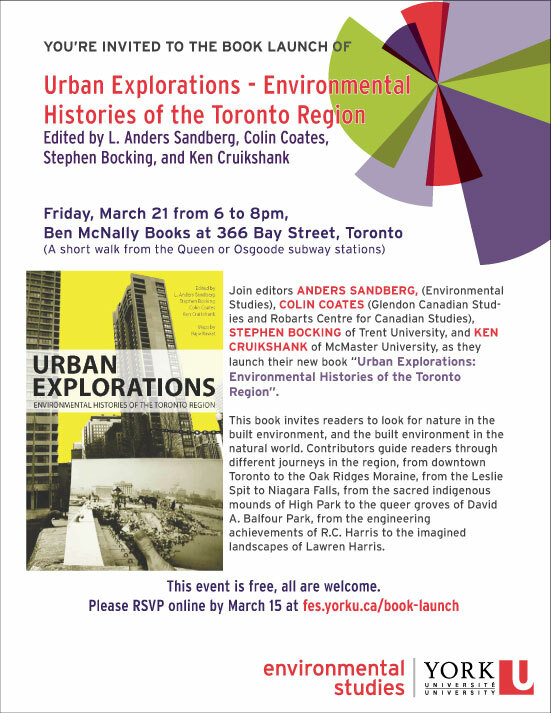 It’s book launch month in Toronto and I am very excited to announce the launch event for Urban Explorations: Environmental Histories of the Toronto Region. This is an anthology published by the Wilson Institute for Canadian History and NiCHE that focuses on various aspects of Toronto’s environmental history. I wrote a chapter on the life and place of domestic animals in nineteenth-century Toronto. You can read that chapter here. I hope you can join us on Friday, March 21 to celebrate all of the hard work that went into publishing this fantastic new book in environmental history.